What's the Lydian dominant scale? The Lydian b7 scale, sometimes referred to as the overtone scale or acoustic scale is more generally named Lydian dominant scale. It is the fourth mode of the melodic minor scale and a great choice when you want to highlight a sharp eleventh sound (#11) in your jazz lines. It is used in a number of music types as blues, rock, jazz, but above all in jazz-fusion. The Lydian dominant scale is a nice alternative to the dominant scale when you want to improvise over dominant 7 chords, it allows you to step outside the box. John Scofield, Larry Carlton, Scott Henderson and many more famous jazz-fusion guitarists are fond of this #11 sound. How to build the Lydian b7 mode? The Lydian dominant scale is made of seven notes, the formula is Root (1) - Second (2) - major third (3) - Augmented fourth (#4) - Perfect fifth (5) - Sixth (6) and minor seventh (b7).We can compare it with the Mixolydian mode to observe that Lydian dominant mode has the same notes, but with a raised fourth (#4). If you are reading this, it means that you know that there are three other important Lydian modes called : Lydian mode from the major scale, Lydian #2 from the harmonic minor scale and Lydian augmented from the melodic minor scale. You can notice that the common feature is the augmented fourth (#4). The Lydian mode, fourth mode of the major scale (1 2 3 #4 5 6 7). 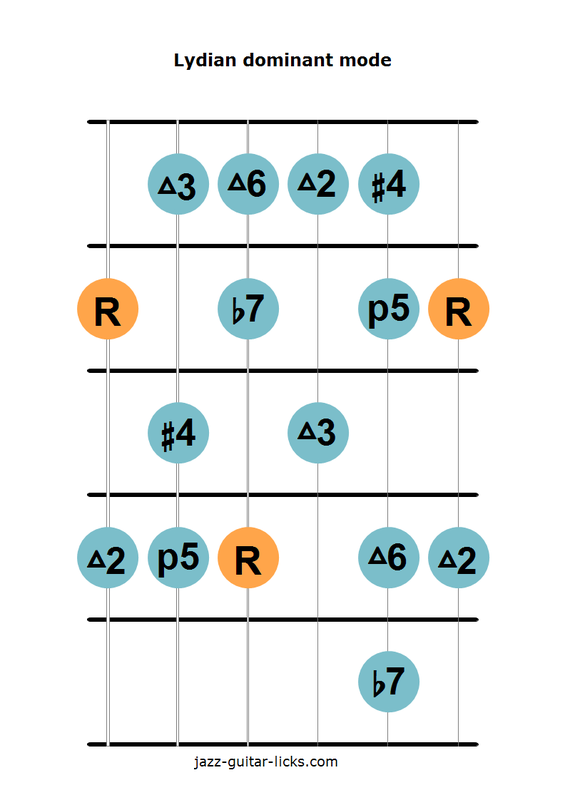 The Lydian #2 (or #9) mode, sixth mode of the Harmonic minor scale (1 #2 3 #4 5 6 7). 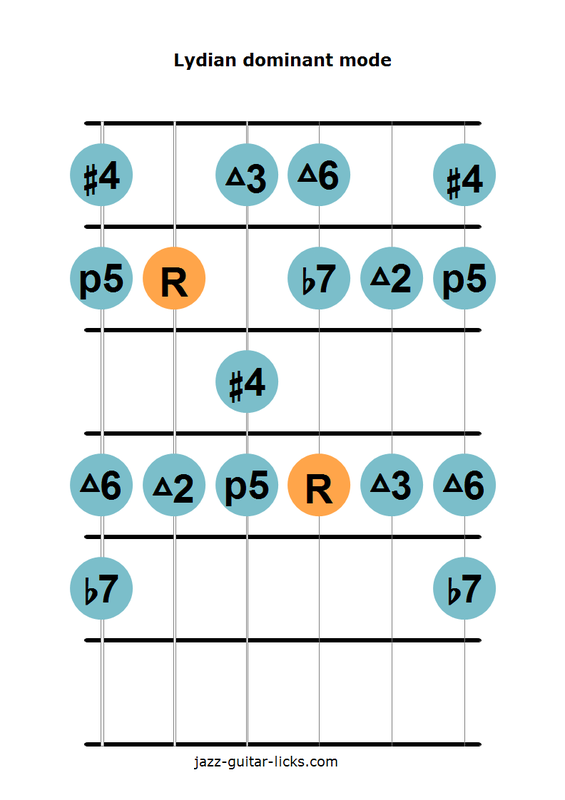 The Lydian augmented scale, third mode of the melodic minor scale (1 2 3 #4 #5 6 7). Here are two diagrams to play the Lydian dominant scale on the guitar. Very nice !! My all time favorite for getting outside over a dominant 7th chord remains the altered dominant scale - i , b9 , #9 , 3 , b5 , #5 , b7 . I see that you discuss it on the site as well . It's nice to have so many options when adding some "spice" to playing over a dominant 7th chord . It never gets old when you have a few tools in the old tool box to choose from .